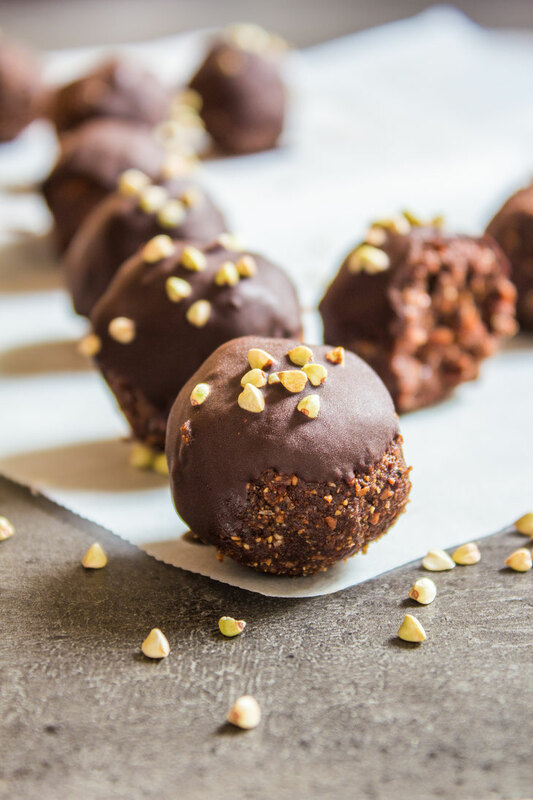 Chocolate Bliss Balls - simply & healthy vegan recipes that taste amazing! 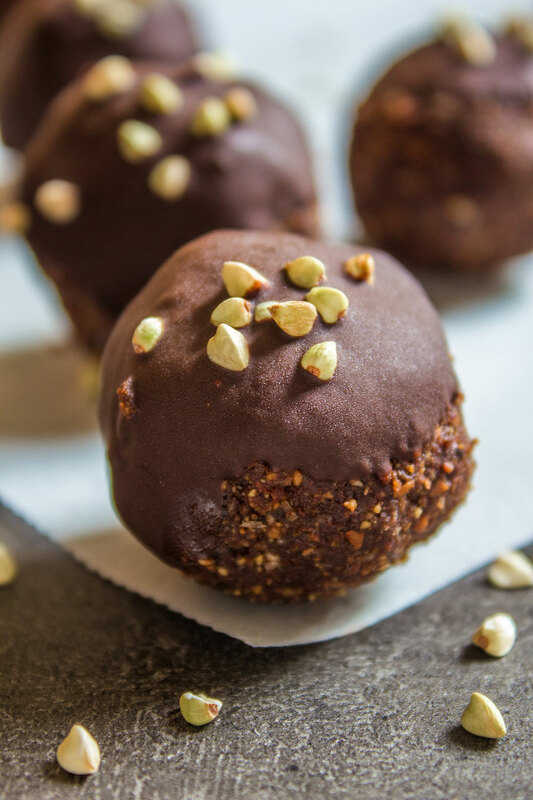 I love bliss balls, and prefer to have some in the fridge all the time. Because as you know, those sweet cravings are not always expected, so I rather be prefered then without anything sweet! 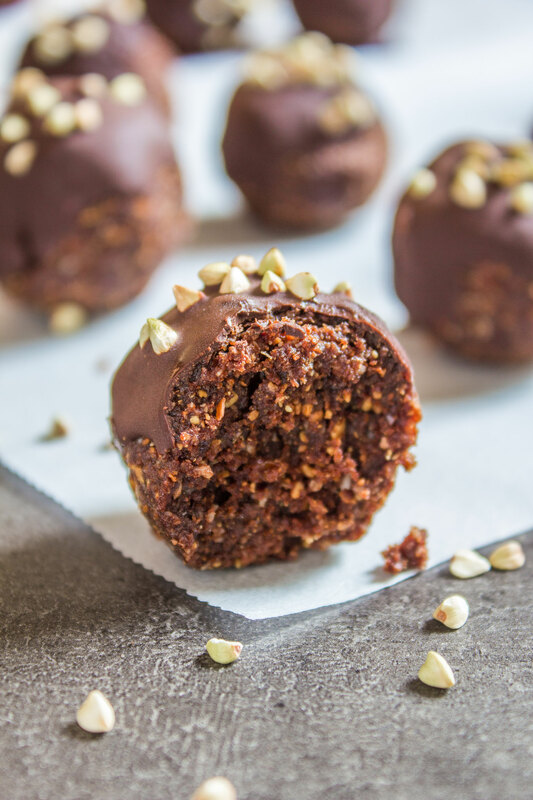 Luckely those bliss balls are vegan, sugar free and gluten free! 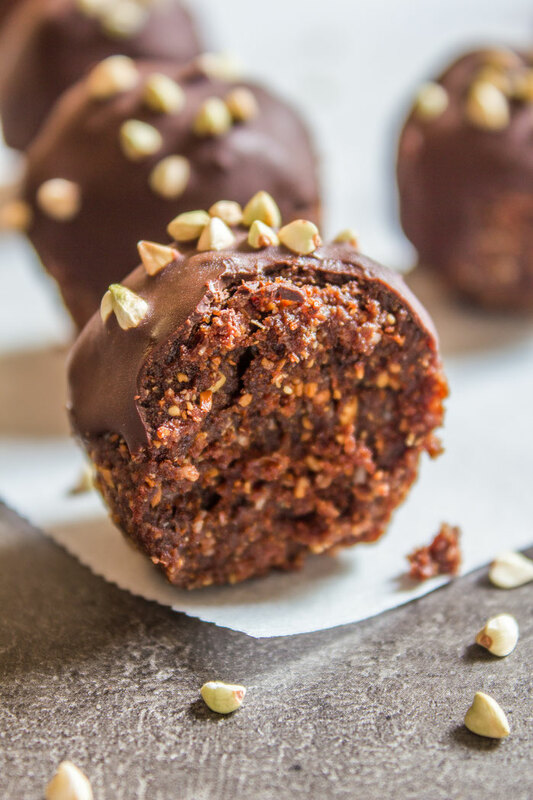 A super healthy treat and snack! 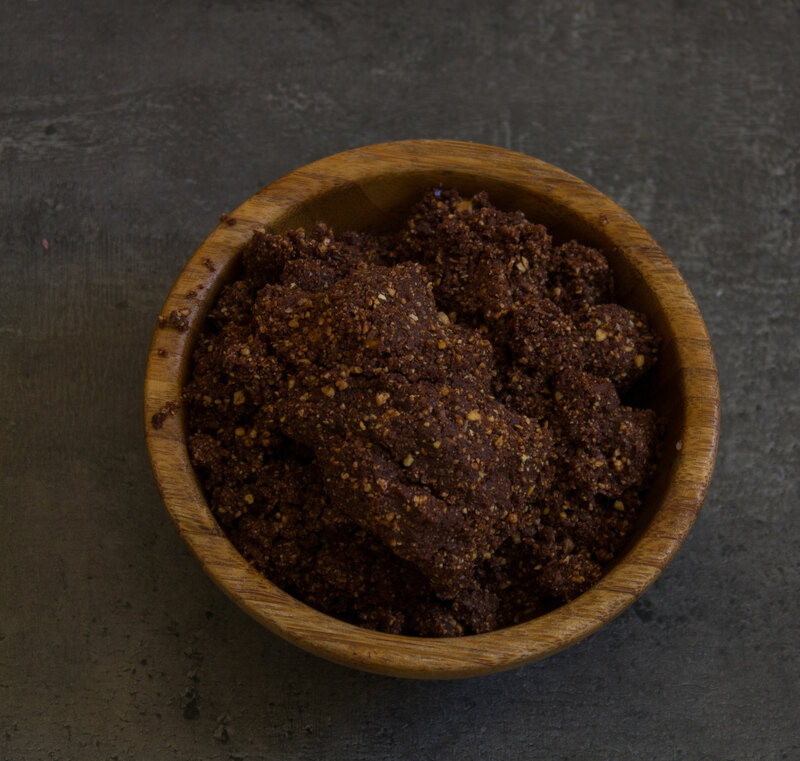 2 tbsp cacao (raw or unsweetened! 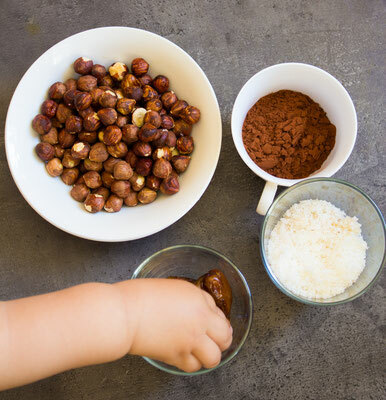 Process all the 4 ingredients in a high-speed blender or food processor until it sticks together well. For a finer texture, process some more. 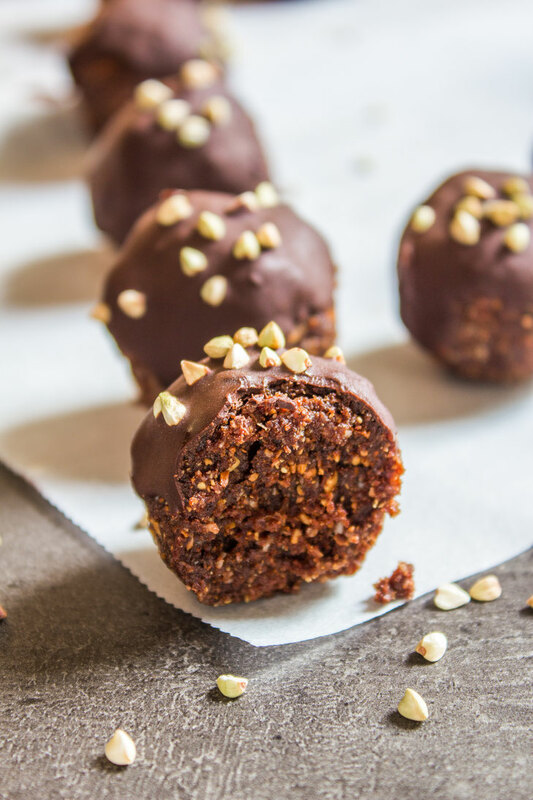 If you would like to coat them with melted chocolate, simply melt the chocolate in a water bath, then roll the bliss balls in the melted chocolate, or dip them. Decorate as wished. Guys, be creative! Freeze for a couple minutes for the chocolate to set. Storage in an airtight container in the fridge! Enjoy whenever you feel you need something sweet or just need something with chocolate!! Leave some feedback or questions below! Yes you could use almonds instead, roast them 5 or 10 minutes and blend them with the other ingredients. You can also try it with any other nuts you have at home, just remember that every nut has its own flavor, so take the ones you like the most!